Football season calls for going all out. 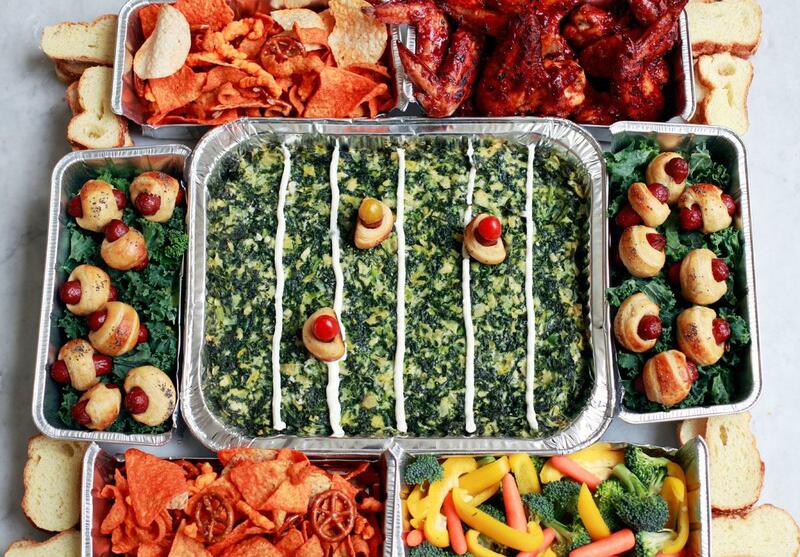 This indulgent food stadium is packed full of your favorite game-day foods: heaping piles of pigs in a blanket, spicy chicken wings, and creamy artichoke-kale dip. In the last few years, food stadiums have become must-haves at any self-respecting Super Bowl parties. 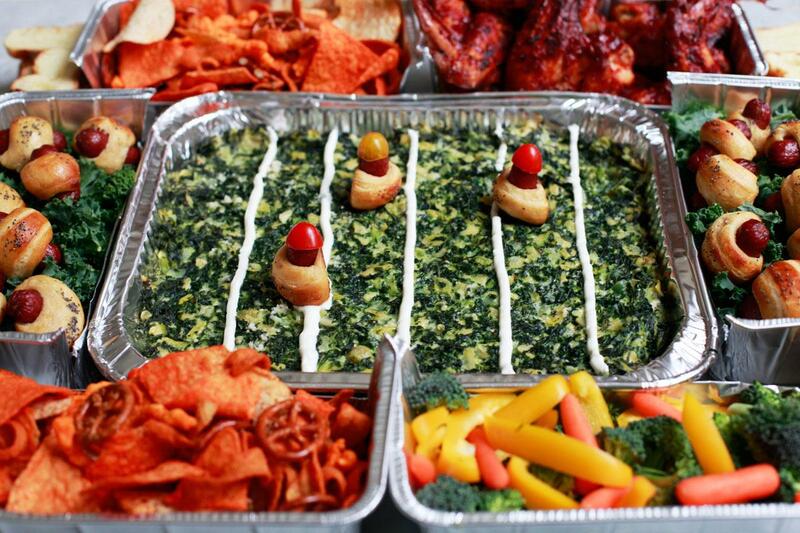 For those not familiar, a food stadium is exactly what it sounds like — a structure resembling a sports stadium, but rather than fans, players, and refs, there are dips, chicken wings, and more of your favorite game-day foods. Over the past few years, food stadiums have become more and more popular, with the good, the bad, and the ugly showing up on sites like Pinterest. 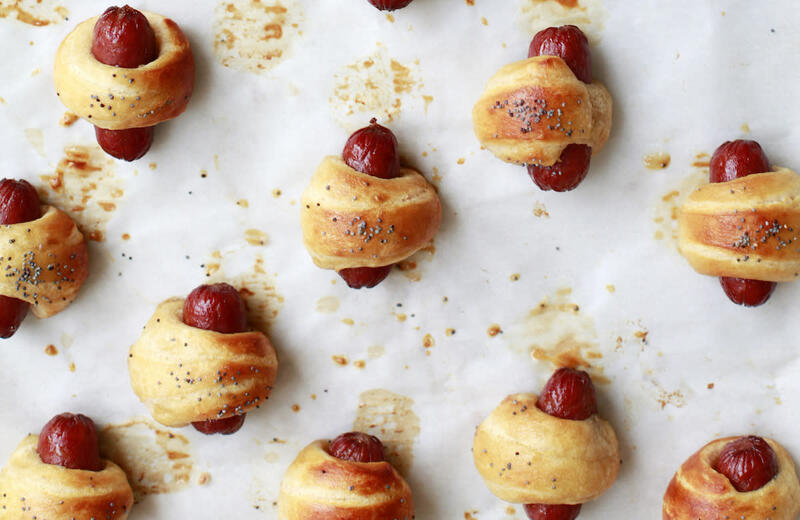 For those who want to give this creative food trend a try but don’t want to gross out party guests with trays full of unidentifiable dips and overcooked hot dogs, Yahoo Food is here to help. With the aid of food stylist Diana Yen of the Jewels of New York, we’ve come up with a food stadium that you will actually want to eat. This indulgent stadium is packed full of your favorite game-day foods: heaping piles of pigs in a blanket, spicy chicken wings, and creamy artichoke-kale dip. Best of all, these impressive dishes are easily prepared ahead of time and stacked inside your architectural wonder (foil takeout containers), leaving plenty of time for you to hang out with your guests and cheer for your team.